Now live is the ability for a company in your HubSpot CRM to be associated with a child company and a parent company. One of the fundamental needs of a CRM is that it reflects the reality of your business. That you can structure your database in the CRM in the same way that your customers are structured. This is why associating two companies together within a “parent-child” relationship is so important. However, it was only possible to associated companies in one level of parent-child before. A company could either have a parent, or it could have a child. It was not possible to set up multiple levels. Now, companies can have both a parent and a child. Choose to add a child company or a parent company, then search for and select the company you want to associate. Once you’ve saved the association, you’ll see the relationship in the “Related Companies” card on your company record. 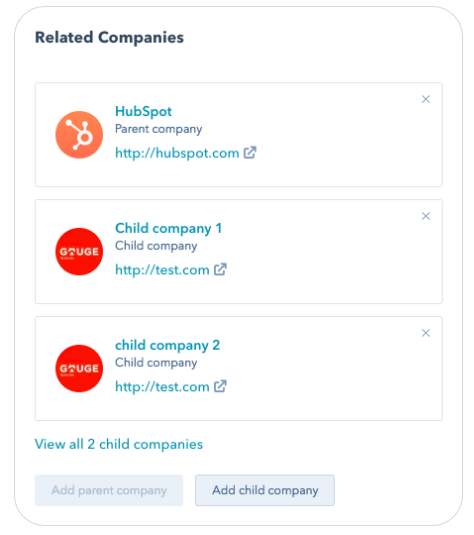 If you’ve added a parent company, you’ll have a link to the parent company within the record and the ability to quickly see the other child companies of that same organization. 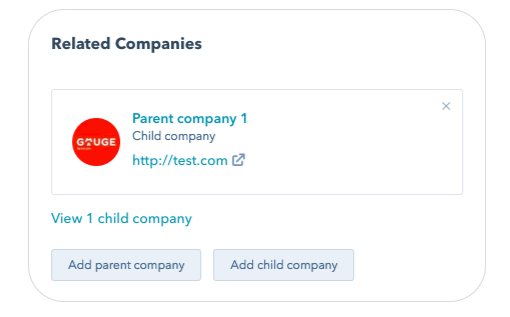 If you’ve added a child company, you’ll see links to the other child companies within the record, with the ability to add another child company as well. This update is now available to all HubSpot users.